Although Wizkids released a total of 13 different Sets over the years, some have multiple editions. You can find them in the Master Spreadsheet, although there are a few discrepancies I address here. The information is also on the Wikipedia page, but here I’ll look at the different set editions with pictures. Feel free to click the affiliate links to buy some packs and simultaneously support the site. Regular coloring/not faded, with the same numbering scheme. Released shortly after the Crimson Coast set, this version of SM has the regular rarity and numbering system on the cards. First version of the RV set. Same thing, but with “UL” added in front of the card number to denote the Unlimited version. Just like in RV UL, these cards have UL in front of the collector’s number. The first print run or runs of DJC had cards that scratched very easily. This set is infamous for being of poorer quality due to this issue, but it’s easy to find the better version. 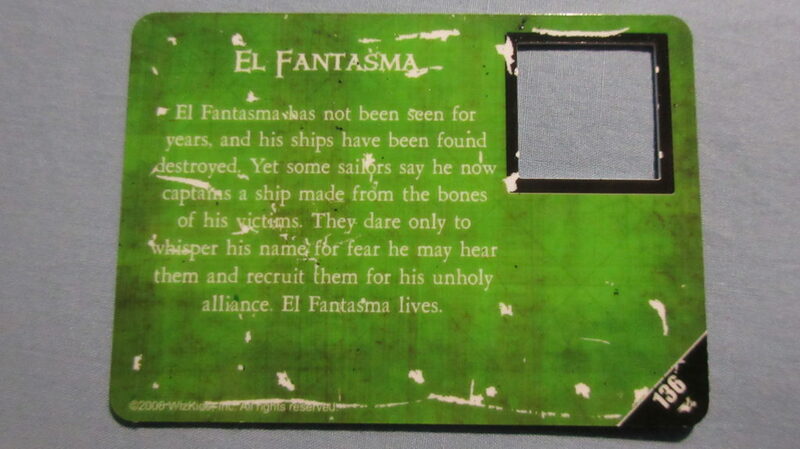 Some cards are more easily scuffed up than others – here you can see a very worn out Unique Treasure card. Although it may look like it’s been through a drying machine, it actually doesn’t take much to damage some DJC cards this much. After the card quality disaster, Wizkids made additional print runs of DJC and corrected the issue. 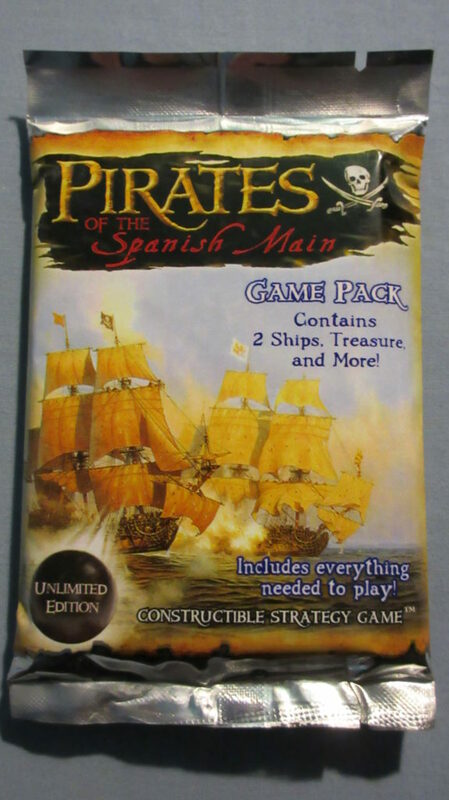 Spanish Main Unlimited – you can clearly see the marker in the bottom left corner. 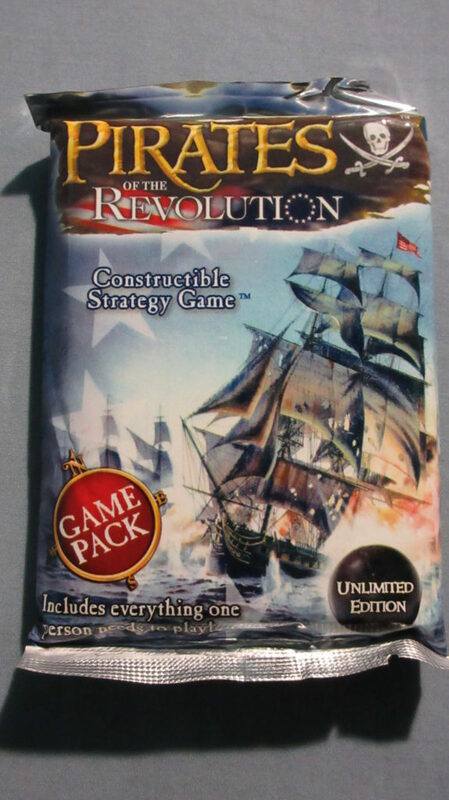 Revolution Unlimited – the first version of RV simply doesn’t have the feature on the bottom right of the pack. 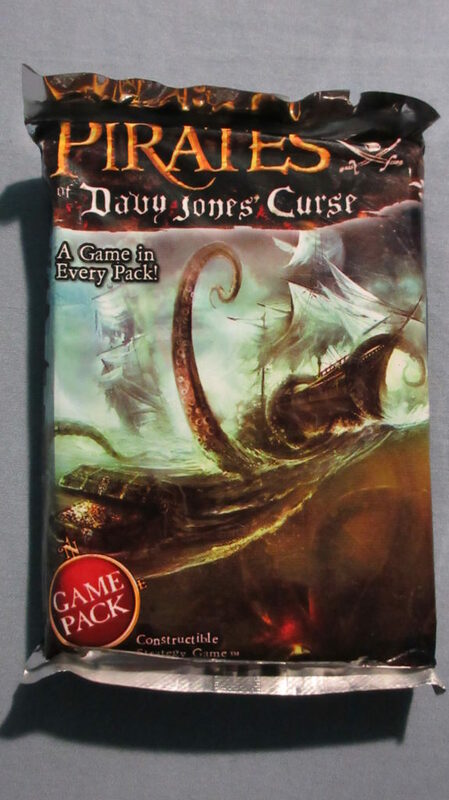 Davy Jones’ Curse – original pack art. This is where you’re likely to find poor quality cards that scratch easily. 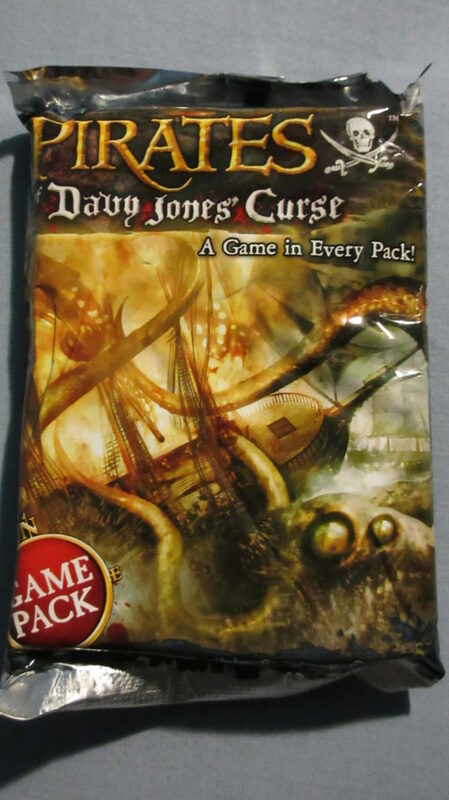 Davy Jones’ Curse – pack art for better print runs. This is more of a note than anything else. 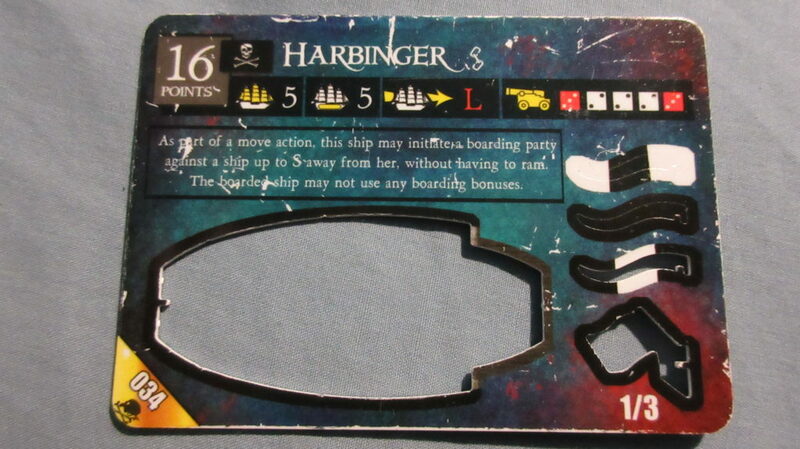 Similar to the bad quality DJC print runs, there are some South China Seas (SCS) cards that scratch easily. I have not experienced this issue much with SCS, but other collectors have said that a decent or large percentage of their SCS cards are easily scratched. I know there is a lot more I could add to this post, but I wanted to cover the basics with mostly my own pictures. Comment below your thoughts! 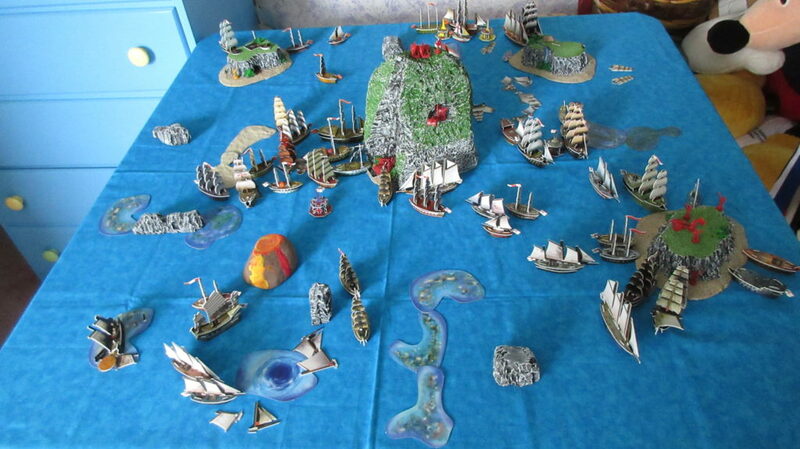 English Fleet Review – How Good is the English Faction? My English fleet at the 2014 Fleet Review. 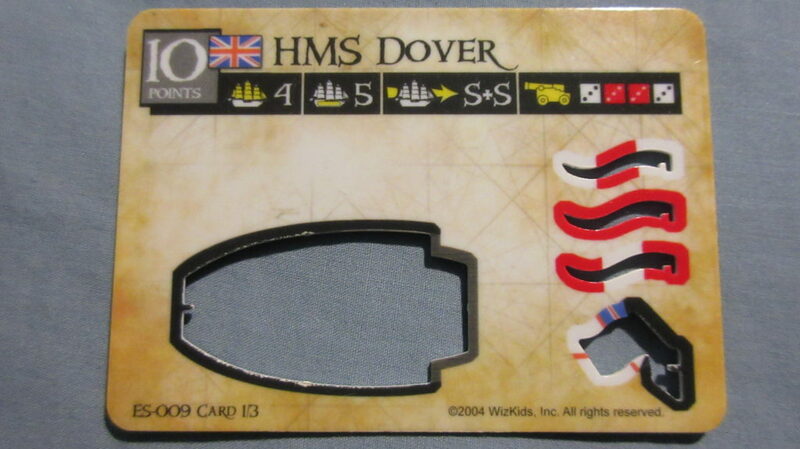 In this post, I will examine the strengths and weaknesses of the English fleet. I will analyze the English faction in a concise but detailed manner. 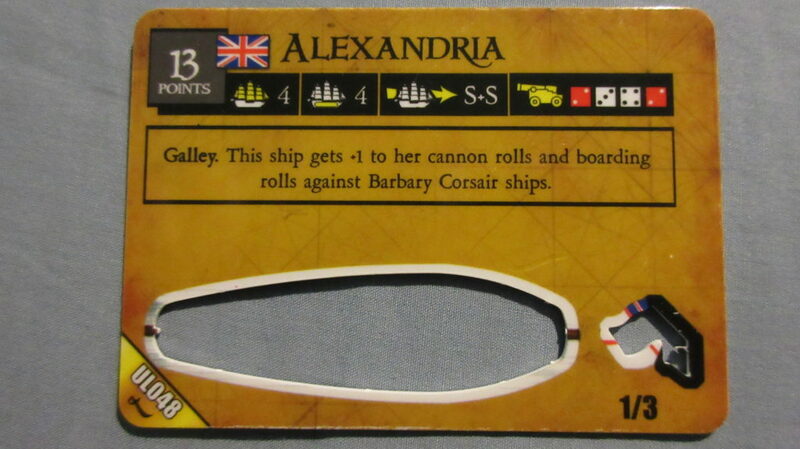 Hopefully you’ll learn enough to decide whether you’d like to play the English fleet in games! Since the time I got into Pirates CSG, the English have been my favorite faction. This is partly due to the large amount of reading I’ve done in regards to the Age of Sail time period. Throughout the Age of Sail, the Royal Navy was a force to be reckoned with, and by the end of the era, Great Britain was easily the most powerful nation on Earth! Theme – Time to FIGHT! English cannons win the day against the Spanish! The English are a brawler. By that I mean that they like to fight, and fight often. 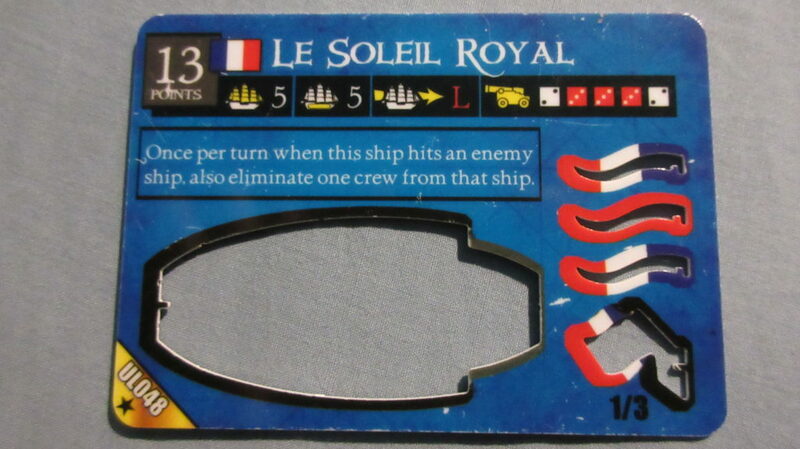 I’m glad that Wizkids made the English faction this way, because it’s very accurate to how the Royal Navy performed in real life. 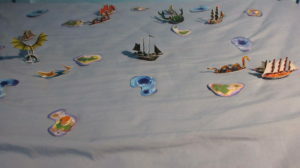 By concentrating on combat, an English player can dominate the waves. 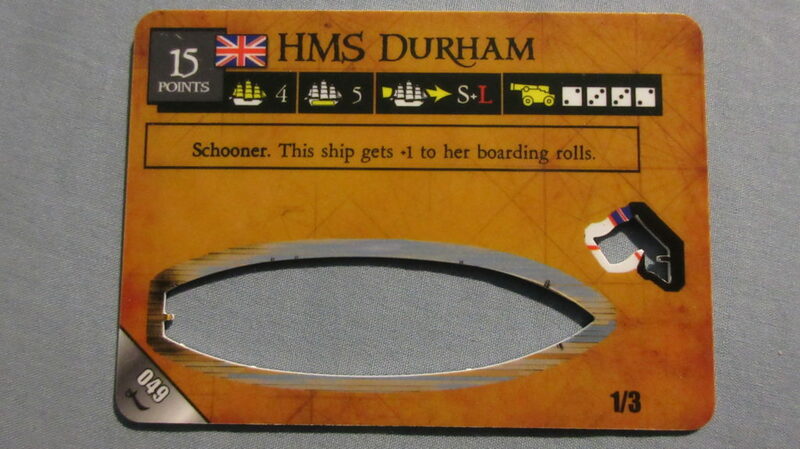 The English are known for their gunnery excellence. 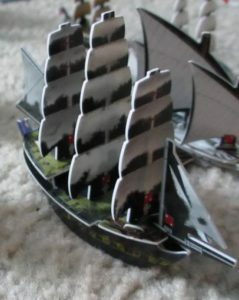 They have a lot of ships with accurate cannons, both short and long range. Many of their best gunships are also some of the best gunships in the game! Therefore, when constructing an English fleet, you’ll want to include at LEAST one gunship, regardless of the build total. 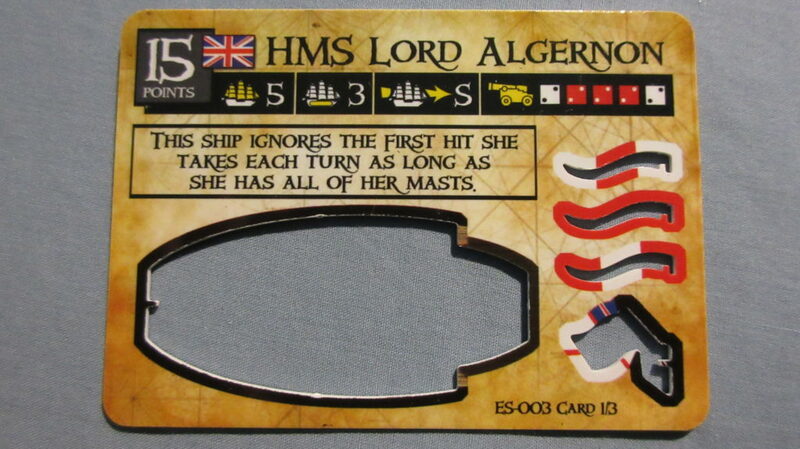 In games with at least 60 points, you’ll probably want 2 or more English warships to wreak havoc on the seas. The linked Rankings pages give you a good idea of the best ships to choose from. Good luck beating a loaded HMS Endeavour! As mentioned above, the English have an incredible group of gunships that can compete with the best from any other faction. 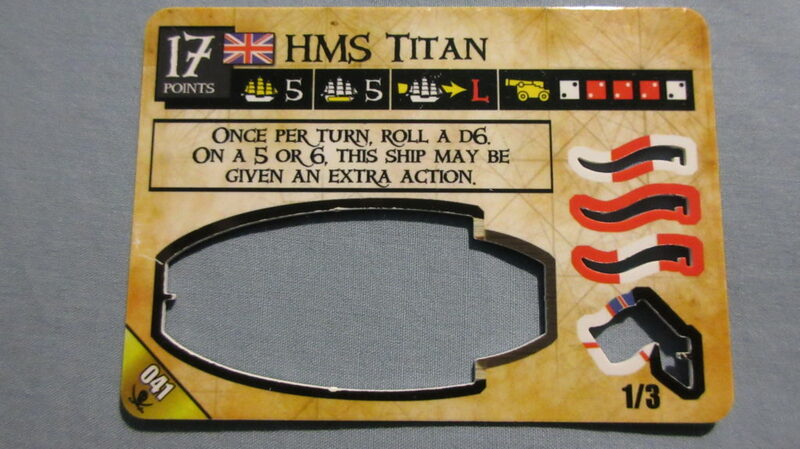 Starting with HMS Titan all the way back in the original set of Spanish Main, the English have had incredibly powerful options from Day 1 in Pirates CSG. This continued from set to set – HMS London in Crimson Coast, HMS Swallow and HMS Oxford in Revolution, HMS Durham in Barbary Coast, not to mention MANY more. Throw in HMS Endeavour, one of the best gunships EVER, and you’ve got a fierce faction ready to go to war! Augmenting the abundance of firepower are some of the best crew in the game. The English boast numerous extra action givers, from the regular EA (Extra Action) and SAT (Same Action Twice) abilities to both SAC (sacrifice) and AA (Admiral’s Action) crew. On top of that are some crew that give cannon bonuses, including world haters Hermione Gold (Mysterious Islands version) and Admiral Norrington from Pirates of the Caribbean. This is just the tip of the iceberg as they say, because the English have a LOT of good named crew. Better at the gold game than you think! 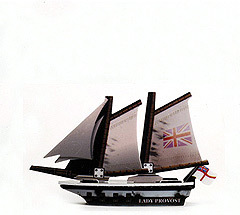 HMS Lady Provost, one of the finest 2 masted schooners. Although the English are one of the best fighting factions in the game, don’t sleep on their gold running prowess! Not nearly the powerhouse that the Pirates, French, or Spanish are in the gold game, the English can still hold their own when it comes to getting treasure. They have a variety of decent options. Some of those can also be used as hybrids (multipurpose ships) with a captain aboard. Players often discount the English potential for winning games. This is due to their gold options being lacking compared to the other “Big 4” major factions. However, the English are still better at getting gold than most of the minor factions and the Cursed. 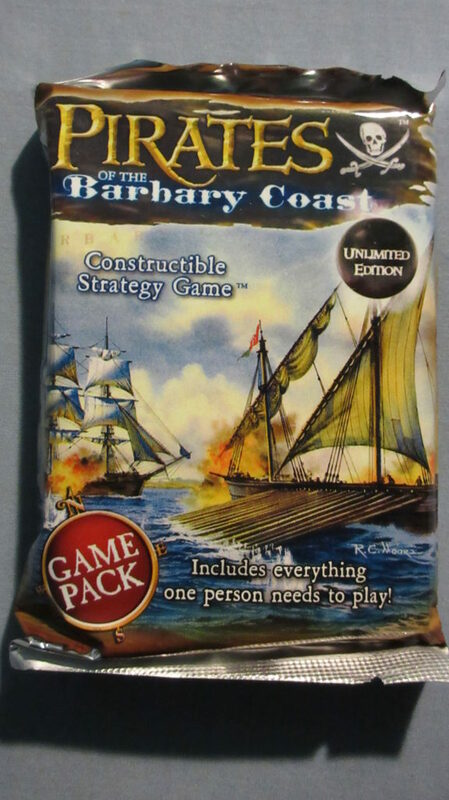 The exception there being the Barbary Corsairs. 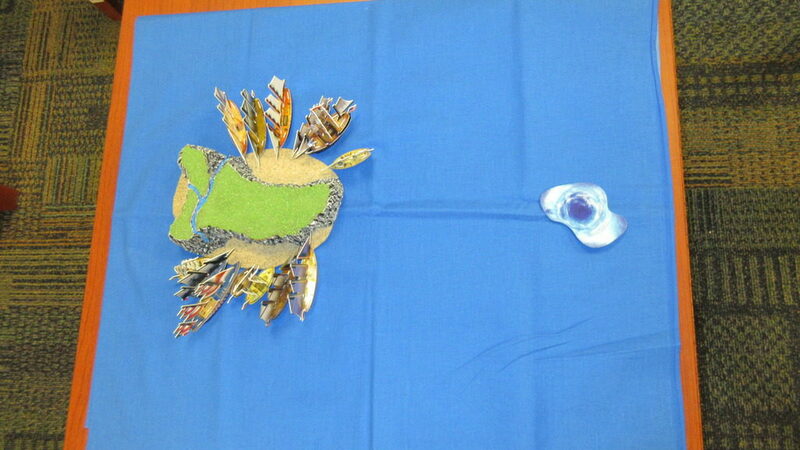 Conclusion – Do you like the English Fleet? Of course I’m biased – I love the English! 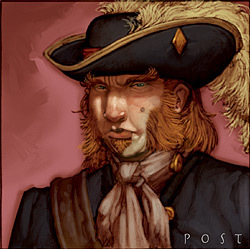 However, they truly are one of the most powerful factions in Pirates. Indeed, they’ve won 5 huge games, more than any other faction as of January 2019. 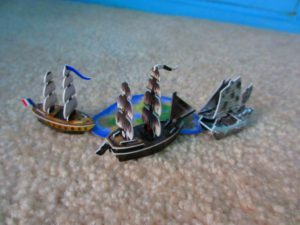 I’d love to hear your favorite stories of the English fleet in Pirates CSG games. Ready to get started playing the English? You can find them in any set, but you might even get lucky with a faction lot! 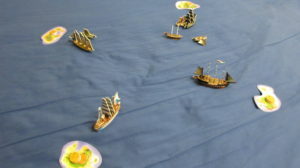 You may have heard me mention the “UPS” (Universal Pirate Shipping) fleets before, created by darrin. I am still somewhat puzzled by the lack of discussion, commenting, and voting not just on these fleets, but on the strategy of it all. 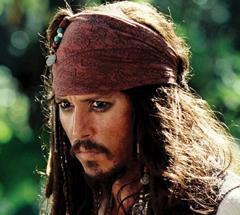 Perhaps it’s due to confusion surrounding Captain Jack Sparrow? I didn’t understand the entire “UPS” strategy at first, and I still think that CJS is the most confusing crew in the game. Is it just too cheesy? Part of what makes me puzzled is just how amazing the strategy is for gameplay. I would argue that it is on par with about anything in terms of pure effectiveness, especially when done correctly. Combined the UPS fleets have a general record of 11-3 in my games, and have completely destroyed other competitive fleets. 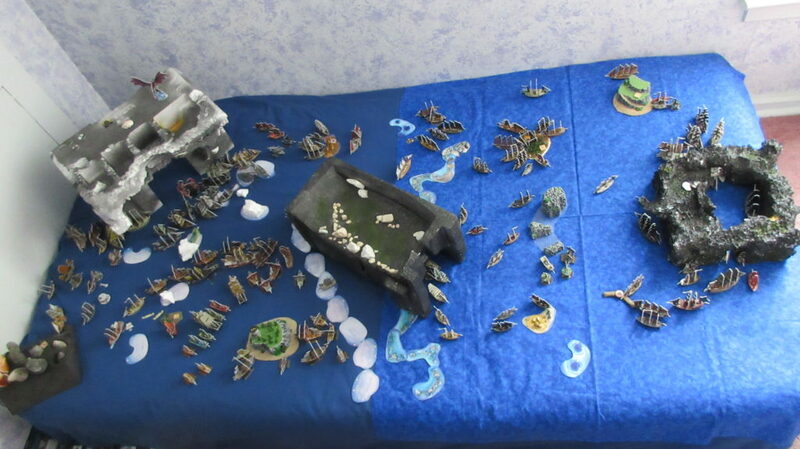 Here are the fleets for reference, along with their current records from my games. The records may not look as impressive as you’d expect, but they are the result of playing against similarly hyper-competitive fleets. My UPS 5 fleet has advanced to the finals of Tournament 1. 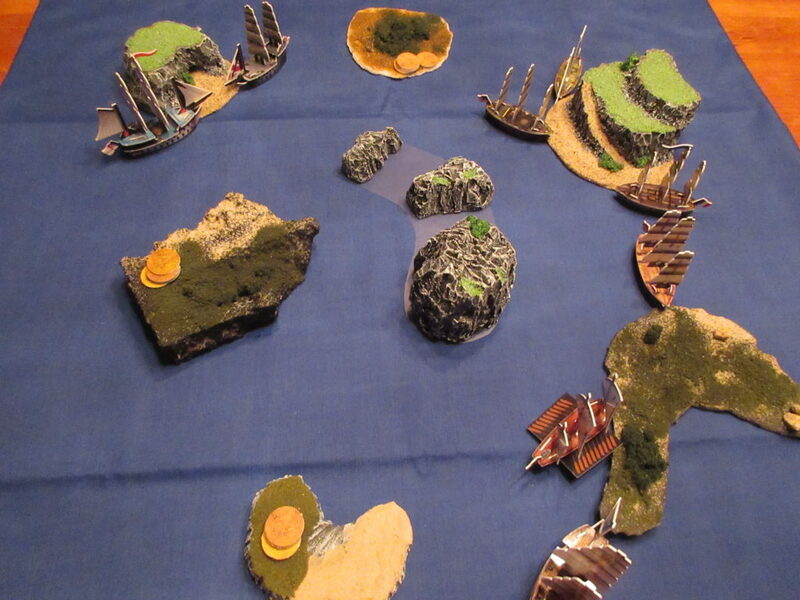 It will also participate in T2, a tournament that will also see fleets like UPS 2, UPS 4, and Hai Peng Fort Frenzy (HPFF) compete. If I had to bet on a fleet to win T2 and therefore be crowned the best existing fleet of all-time, I would pick a UPS fleet. Of course, many games will have to be played to get to that point. 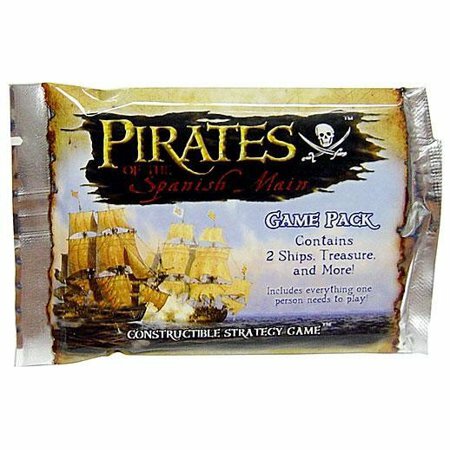 But still, Universal Pirate Shipping is simply one of the most effective strategies for winning games, and seems grossly underrepresented and underrated (and possibly misunderstood) by the Pirates community. 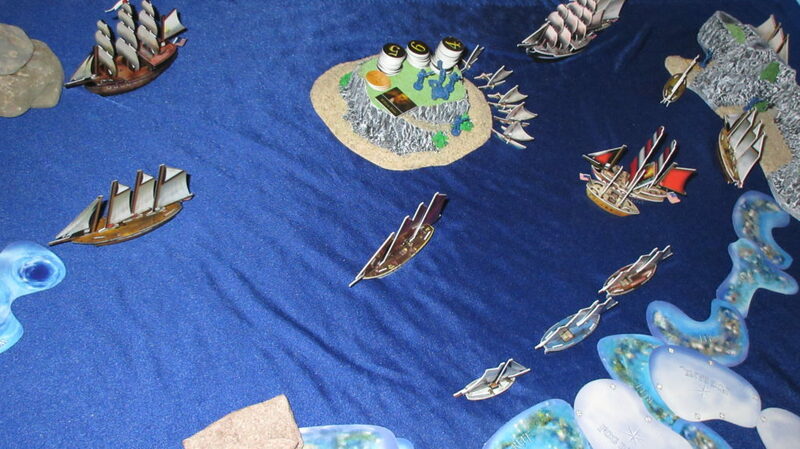 UPS 2 won VASSAL Tournament #2, beating another fleet using Captain Jack Sparrow in the Finals. 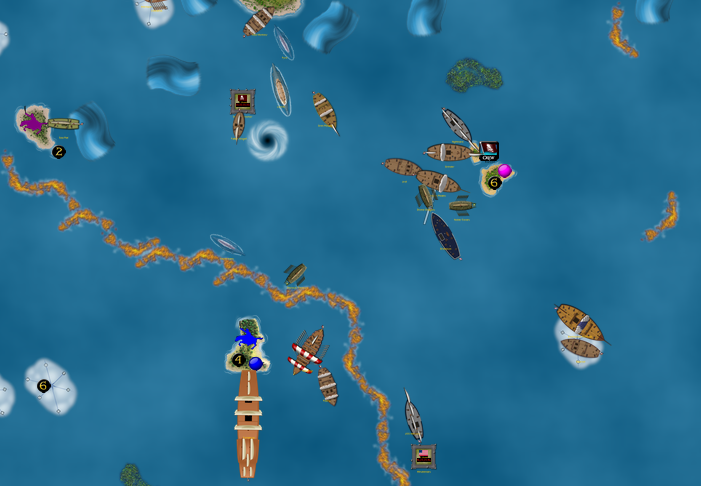 Further proving that this is the best fleet strategy in Pirates CSG history, and the most-proven way to win games. The following is the discussion that took place at Miniature Trading in September 2016. I think the lack of discussion around the crew isn’t because he’s confusing, it’s because he has one of the most poorly-though-out abilities in the entire game and is ridiculously easy to abuse. It’s not even clear what that ability is supposed to represent thematically. Maybe it does reference some specific event in one of the movies, but whatever it was, it definitely doesn’t account for how the ability can be used repeatedly to send treasure after treasure home. There’s no question that a fleet set up to (ab)use his ability will be effective, it’s more a matter of whether your opponent will be able to keep up with it without resorting to something similarly broken and/or without using a fleet specifically designed to counter this. Good points. However, he isn’t banned (even if he should be, or if the ability should have never been invented in the first place), so his fleets are still (in my opinion) the favorite to win Tournament 2 and be crowned the best fleet of all-time. I suppose there can be a “best non-UPS fleet”, but he’s not the only thing in the game that is easy to abuse. Things like the Banshee’s Cry, sac captains, cheap extra actions, events, and even cancellers have been around longer than CJS’s ability, and are also extremely easy to abuse and are either undercosted or flat-out broken. However, fleets using any of those things often get considerably higher attention and recognition than fleets using CJS’s ability. That’s what I don’t like – sure it’s cheap, but so are other things in this game that are consistently more popular or even “accepted”. Most of the others have been “accepted” because they’re easier to use, are much more common, or have a wider range of uses. Extra actions of any variety are everywhere in the game, and are useful no matter what you’re doing with your ship. Because they’re so cheap and/or easy to use, no one ever has to go out of their way to use them. 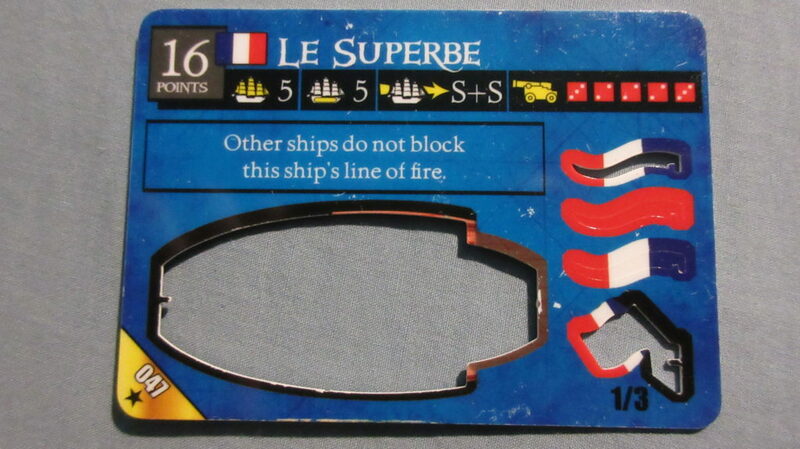 Ships like Banshee’s Cry are undercosted for what they do, but even though that’s the “best” one out there, there are a lot of other cheap ships that are close enough to it that banning it wouldn’t solve the problem it represents, it would just shift it to the next ship in line – whether that’s Le Bon Marin, La Monarca or any number of others is open to debate, but like extra actions, they’re “accepted” because they’re widely available to pretty much everyone. Not every nation has one, but others have several so unless you lock in to a single-nation fleet, they’re easy to find. Cancelers could probably could cost a point or two more, but for better or for worse, they’re game-breakers by design. They make players put a little more thought into what they do beyond just “sail up and shoot the other ship”. Like the other things that are on the borderline of being broken, they’ve become relatively common too, with most nations having at least one or two. 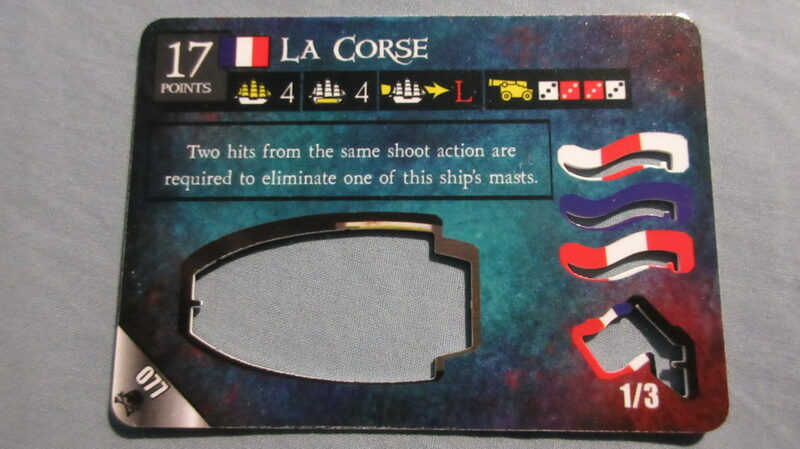 Also, a key difference with cancelers is that they can’t win games on their own, because they don’t collect treasure or sink ships – they just make it easier for your other ships and crew to do it (or they make it more difficult for your opponent). Jack is the weird one because there is nothing else quite like him anywhere else in the game, and because he does directly contribute toward winning (technically the target ship has to unload the treasure, but he’s the reason it’s there in the first place). He’s also not easy to counter with things that are widely available. Negative UTs can hurt him the most, but when you add them to the pool you’re accepting the fact that you might have to deal with them too. Taking out his transfer ship is another possibility, but depending on the board layout that may not be an option until he’s already been used a few times, or even at all. He doesn’t need to be banned, but that combination of having an effect that’s somewhat overpowered, being kind of weird and confusing about what’s happening, and being one-of-a-kind really limits the discussion about him. A lot of players simply aren’t familiar enough with him, and most that are don’t use him other than to prove the point that he’s overpowered. As a side note, I forget when (as in which set) you started working with Wizkids? 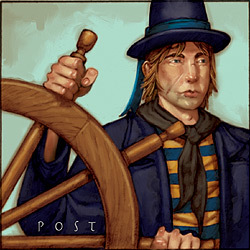 During playtesting for the PotC set, did CJS and/or the combo with the Hai Peng ever come up as a concept or potential problem? I would say that his effect is very overpowered, although at first glance you wouldn’t necessarily jump to conclusions like the UPS strategy. 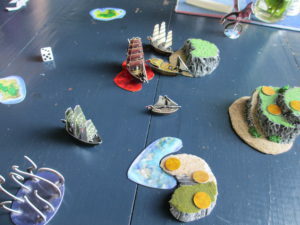 That last part is part of why I made this thread – no matter how unique, confusing, or cheesy, I think everyone needs to be quite educated on what is arguably the single “best” game piece there is (with the Banshee’s Cry and generic captain/helmsman also in the discussion I suppose). This discussion also makes me question my knowledge of PotC – if there is a connection, who will be the one to discover it here? 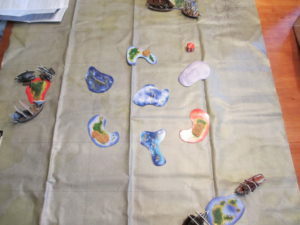 There was some very limited playtesting as far back as SCS, but with most of them the sets were pretty much fully designed by the time I saw anything and whatever input was provided didn’t amount to much. I didn’t really get involved directly with the designers until RotF, but even then it was mostly just for rules consulting and going over the spreadsheets to see if there was anything obviously broken. PotC kinda slipped through just beforehand, and I didn’t see anything significant from the set until it was published. 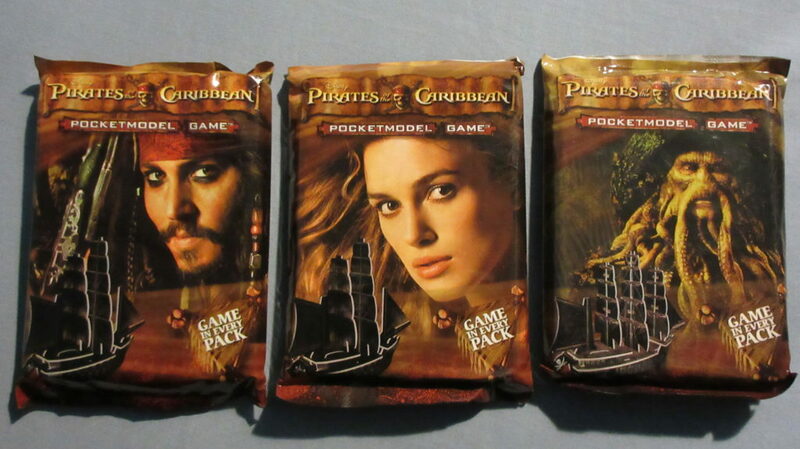 I assume there was some internal playtesting, but considering how quickly some of the sets were being cranked out and especially how rushed the PotC set seemed, it wasn’t nearly as much as what was needed. I welcome all criticisms, questions, etc. 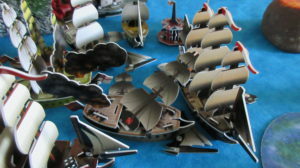 What do you think of the Universal Pirate Shipping fleet strategy? Have you played a UPS fleet, or played against one? Do you plan on it? Feel free to nominate fleets that you think could beat a UPS fleet as well. Finally, try to vote or comment on some of the above fleets – as my battle reports have shown, this is one of the most viable competitive strategies in this game, and it doesn’t seem to get enough attention. Thanks! As I understood it the lamination process continued to change through the whole process from PotSM to PotSS. I’ve noticed that a lot of the sets have slight differences. To me, BC was the highest-quality. 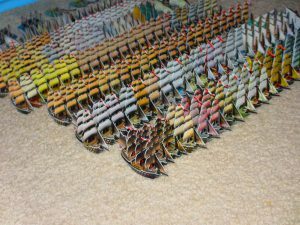 The cards were beautiful, didn’t chip, didn’t get fingerprints easily (like some of the CC cards), and a lot of times the ships were remarkably easy to build, not difficult but not too loose either. For me at least, there was a large change starting with DJC (my SCS cards and ships are fantastic), which continued through OE. 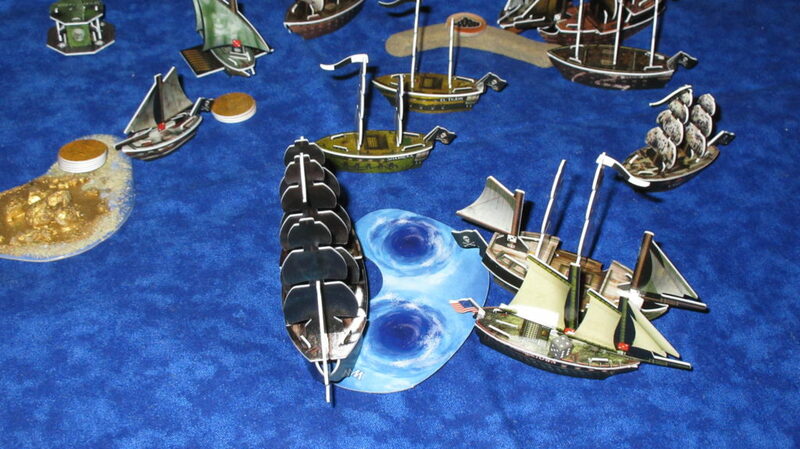 Then things changed again with PotC and RotF, which generally continued through to the end. If I can remember correctly, I would estimate that RV and possibly F&S/SS were the most “average” sets in terms of quality of the cards/ships, etc, with a bunch of the sets having specific good or bad points about them. 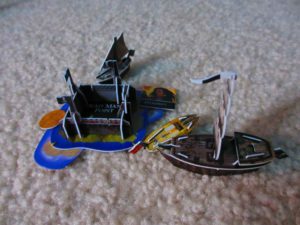 Why do you want to know what factory Wizkids used to make the ships? Thinking about trying to make your own ships? Well, it’s a mystery. I like mysteries. I also like when mysteries are solved. Not even Woelf has any clue, so it’s an interesting topic, even if it doesn’t (or can’t) really go anywhere. Wouldn’t we all like to make our own ships? Heh, some kind of stickers are the most cost-effective method, but I’ve almost never even thought of designing actual artwork for my customs. I’d rather just play. What is your experience regarding the set quality of the cards that Wizkids produced? I’d love to read your comments below! Here at Pirates with Ben, you can always be sure to find the Pirates CSG Rules in all their various forms and formats. If you’re a beginner, the Start Here Rules are what you’ll want. 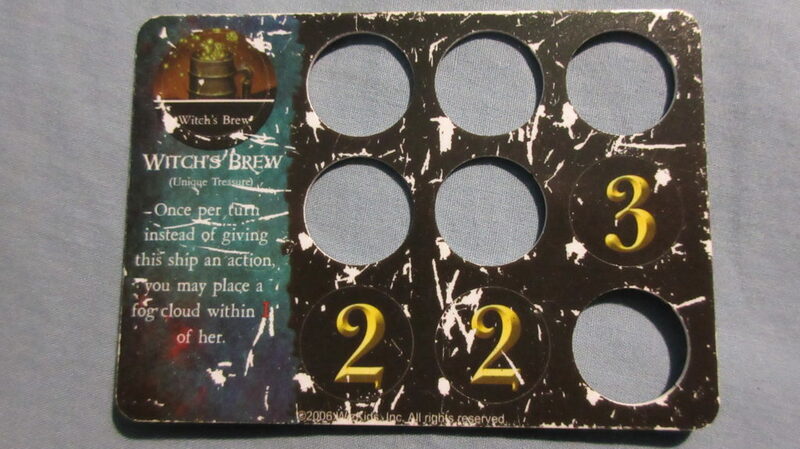 However, that document assumes you only have one pack to start playing, which is part of the reason why I created My Basic Rules that you can use if you’d like (they include some of my own house rules, which I firmly believe make the game better). Once you have a decent sense of the Start Here rules, you can move on to the Complete Game Rules. This is a much more advanced version of the game, but the way it’s intended to be played. These rules are also found in my custom rule set linked above. 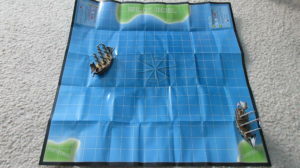 Now that you’ve got the main rules, you should be ready to play full games of Pirates CSG without too much trouble. However, there are some very good supplemental materials that can greatly aid in your playing time. Woelf‘s Master Keyword List is a classic document containing all of the keywords ever made. This is great because Wizkids only printed keywords in the Complete Game rules associated with that pack’s specific set. If you use a copy of the MKL, you’ll never have to search through various Complete Game rulebooks just to find one set-specific keyword. Unfortunately, Wizkids made a number of contradictions, gaffes, and confusing wordings in the rules and abilities for this game. That is where another fantastic document from Woelf comes into play. The Pirate Code (FAQ). This is a life saver. 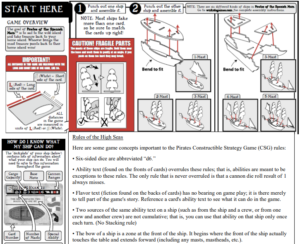 Although it’s much larger than any of the other Pirates CSG Rules documents, “the Code” (from Pirates of the Caribbean and of course pirate history) is an incredible resource that will answer nearly ALL of the potential questions you could have about the rules of the game. Finally, although it’s far less necessary than any of the above documents, the Reference Diagrams (also by Woelf of course!) contain a number of useful tidbits. Veteran players will not need them for the most part, but they can be quite useful for beginners. Even after playing hundreds of games, I learned of a towing option I had never thought of or realized before! Now that you have all of the Pirates CSG Rules, go forth and PLAY! !